With the new NCI designation and the existing ADC and CCTS federally-funded programs, UK joins a truly elite group of medical centers across the country. Other centers that have achieved this triple designation include Johns Hopkins University, the Mayo Clinic, Harvard Medical School, and Columbia University. In July, the University of Kentucky Markey Cancer Center announced that it is now the 68th medical center in the country to receive a prestigious National Cancer Institute designation, and is the only NCI-designated cancer center in the state of Kentucky. Previously, Kentucky was one of 16 states that did not have an NCI-designated cancer center, despite the fact that the statistics surrounding cancer incidence and mortality in the state are dire: Kentucky ranks highest of all states in cancer mortality, and has the second-highest incidence of cancer in the country. This cancer burden is heaviest in the Appalachian region of the state, where the rates of lung, colorectal, oral and pharyngeal, cervical and kidney cancer are extremely high. Earning NCI designation was a lengthy process that required strong efforts in research, recruiting and improving many of the programs at Markey. As a result of the designation, patients will have access to new drugs, treatment options and clinical trials offered only at NCI centers. 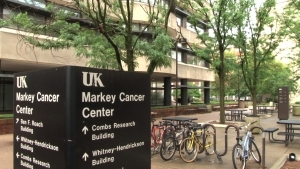 The UK Markey Cancer Center will be able to apply for federal research grants available only to NCI-designated cancer centers, with the potential to bring millions in additional funding to the area. The ability to both lead and access major national clinical trials may perhaps be the biggest benefit for many Kentuckians seeking cancer care. The current “standard of care” protocols for all cancer types are constantly evolving and improving through clinical trials. These trials offer patients the chance to receive the absolute latest cancer treatments, with researchers seeking to find ways to kill cancer cells more effectively and/or reduce the side effects of the current therapies. 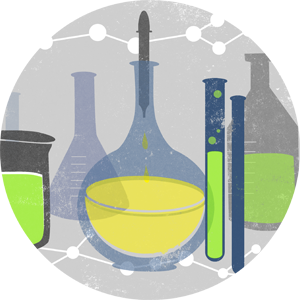 But before research makes it to the clinical trial level, it must first begin in a laboratory – and this “bench to bedside” process, which uses resources from all over UK’s campus, is one that Evers expects to improve even further with the NCI designation. At UK, the hub of bringing research from “bench to bedside” is the Center for Clinical and Translational Science (CCTS), which is one of only 61 nationwide recipients of the Clinical and Translational Science Award (CTSA) from the National Institutes of Health (NIH). In 2011, CCTS received the prestigious CTSA for $20 million, which was the largest research funding award that UK had received to date. The mission of the CTSA is to accelerate the pace of discoveries for improved health and health care through five strategic goals: national and clinical translational research capability; the training and career development of clinical and translational scientists; collaborations between CTSA institutions; the health of communities and the nation; and T1 translational research, which moves clinical discoveries to human applications for the first time. Founded in 2006 with the goal of earning the significant CTSA funding, UK’s CCTS represents the university’s enormous interdisciplinary effort and focused investment in the transformation of its entire clinical and translational research enterprise. Unlike many other Centers, the CCTS is disease neutral. Yet it functions to improve the research conducted by others on campus, including disease-oriented centers such as Markey and Sanders-Brown, by improving the conduct, quality and dissemination of clinical and translational research. 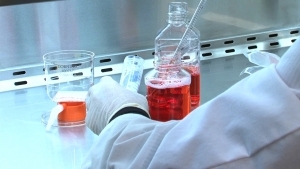 The two primary goals of CCTS are to prime the pipeline of interdisciplinary research, which will lead to creative new research ideas and teams, and to accelerate the translation of scientific discoveries in the lab to tangible, “bedside” improvements in the preventive care, treatment, and health of residents of the Commonwealth of Kentucky and Appalachia. CCTS also prioritizes training the next generation of translational scientists, and provides support to investigators through competitive pilot funding opportunities and key function services such as biostatics, biomedical informatics, community engagement, and regulatory support. Receiving the CTSA reflects UK’s standing as a top biomedical research institution and has allowed CCTS to significantly expand the scope and impact of its work and the research capacity at UK, awarding 45 pilot program grants to UK researchers for a total of over $1.6 million. Expanded pilot programming not only supports emerging investigators and novel studies, but it also has the potential to increase research funding awards at UK. Since the inception of the CCTS pilot program in 2007, 11 of the CCTS pilot projects have brought in further NIH research awards worth $6.9 million. The CTSA designation has also created a pathway for broad and innovative research collaborations among departments, colleges, centers, and researchers within the UK community and also between UK and the other institutions in the CTSA Consortium, particularly those that serve residents of Appalachia. 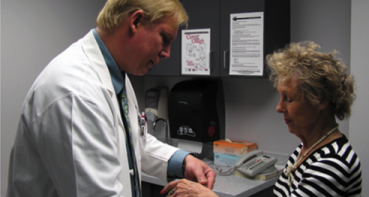 The Sanders-Brown Center on Aging (SBCoA) is a powerhouse in the field of aging research. The Alzheimer's Disease Center (ADC) at Sanders-Brown is one of the oldest in the country, established through a federal grant in 1985 as one of the first ten such centers in the U.S. In Sept. 2011, UK and Sanders-Brown received more than $7 million in funding from the National Institute on Aging (NIA), a division of the National Institutes of Health (NIH), to continue research and clinical intiative geared toward treating Alzheimer's disease. The funding award will continue the work of the Center through 2016. The faculty of the Sanders-Brown Center on Aging and the UK ADC are leaders in the detection of early neuropathological changes in the brain accompanying diminished cognitive abilities associated with Alzheimer's. UK also is home to an extensive research program involving brain donors both with and without Alzheimer's disease. The large number of normal control subjects participating in research studies at UK has enabled researchers to gather significant information about how healthy brain aging occurs, and to compare healthy brains to those of individuals with Alzheimer's disease. In addition to research programs, the Sanders-Brown Center on Aging offers outreach, education and support related to Alzheimer's disease and other age-related conditions. Regular telemedicine programs deliver support to caregivers throughout the state of Kentucky, while programs such as the African American Dementia Outreach Partnership work with local agencies to offer the resources of the university to those who can most benefit from them. Health fairs, memory screenings and presentations serve as opportunities for experts to assess and respond to the needs of the community. More than 700 research volunteers, drawn from throughout the state, participate in clinical trials and the brain donation program. An ADC is divided into five cores: clinical, educational, neuropathology, biostatistics and administration. Each core plays an important role in carrying out research crucial to the fight against Alzheimer's disease. "We are excited to take the Center forward into the next five years of research, education and discovery," said Linda Van Eldik, SBCoA director. "I'm so grateful for the hard work of everyone at SBCoA to obtain this funding through an extremely competitive process. The renewal of our ADC will enable us to build on our existing strong research program, to further a new translational research focus." UK initiated its aging program in 1963 with the formation of a Council on Aging. In 1972, as a result of a grant from the Eleanor and John Y. Brown Jr. Foundation, funding was obtained for the construction of the current Sanders-Brown Research Building and, with additional funding from the state, a program in biomedical research was implemented. In 1979, under the direction of the late Dr. William Markesbery, the Center emerged as a national leader in efforts to improve the quality of life for the elderly through research and education. Ten years ago, UK committed to the goal of becoming a top research-intensive referral center. To accomplish this, UK needed to demonstrate superb clinical service and a strong research infrastructure. Achieving these three major research designations signifies the achievement of this goal. Extensive cooperation between these three elite research centers further catalyzes the capacity for research productivity and innovation at UK. For example, Markey and Sanders-Brown (along with several other centers) have integrated their pilot grant processes under the CCTS umbrella, which has led to increased funding and innovative collaborations. Markey and CCTS are also working closely to develop a federated biospecimen bank, which will enhance research opportunities for all UK investigators. Similarly, the three centers collaborate in the areas of drug discovery and development and community engagement. The leadership of all three centers is matrixed, with the directors of each center sitting on the others’ internal advisory boards.